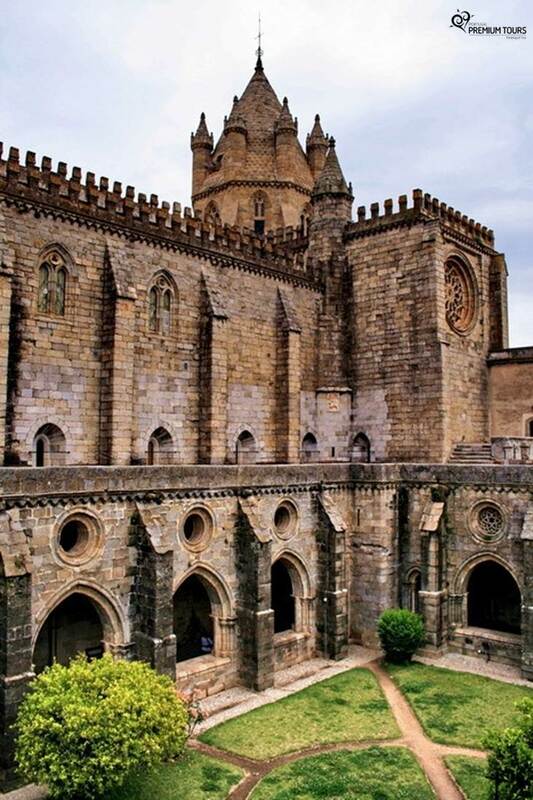 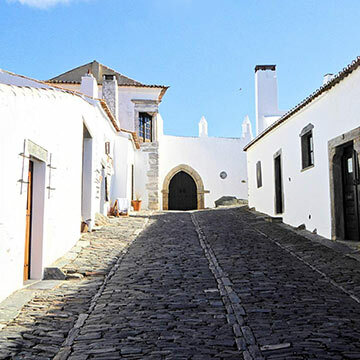 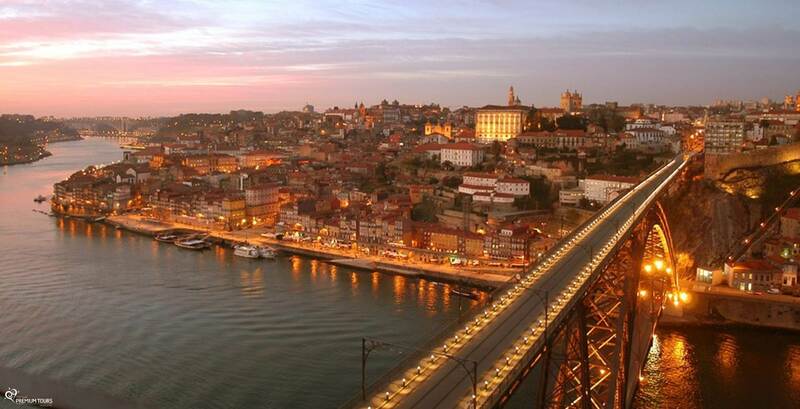 On the Grand Tour of Portugal and Spain you will visit the most important sites of the Iberian Peninsula and wonderful cities and villages, classified as World Heritage sites by UNESCO. 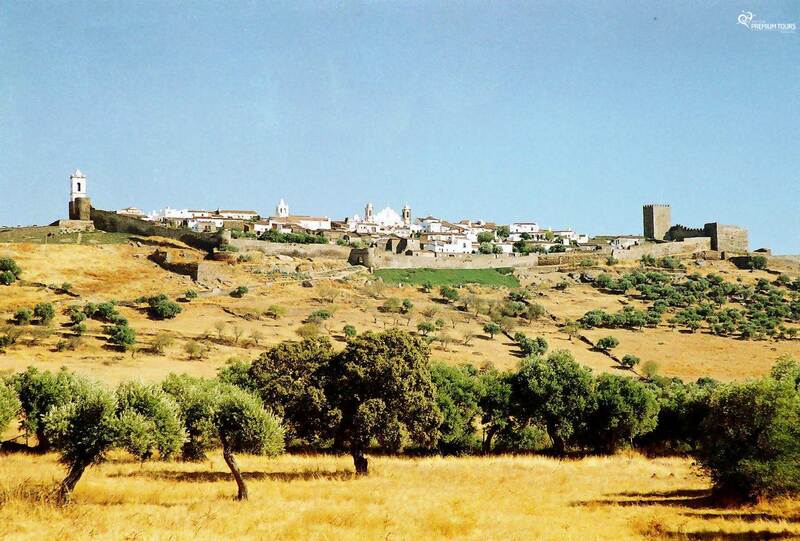 You’ll visit: Évora, Reguengos de Monsaraz, S. Pedro do Corval, Monsaraz and Elvas. 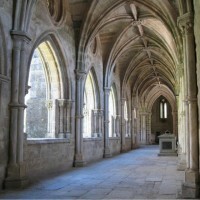 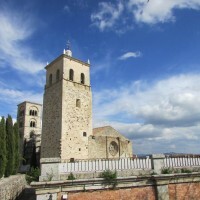 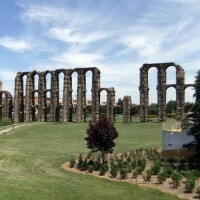 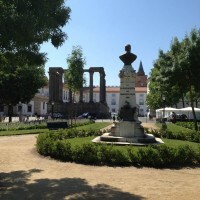 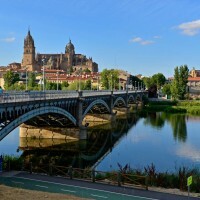 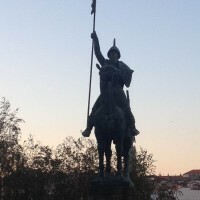 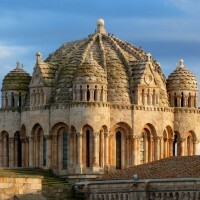 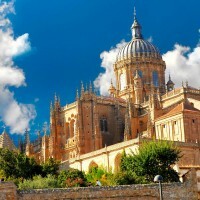 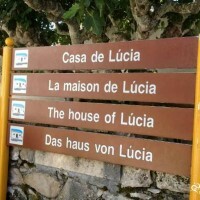 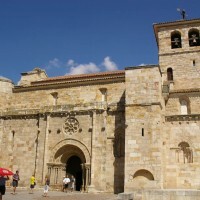 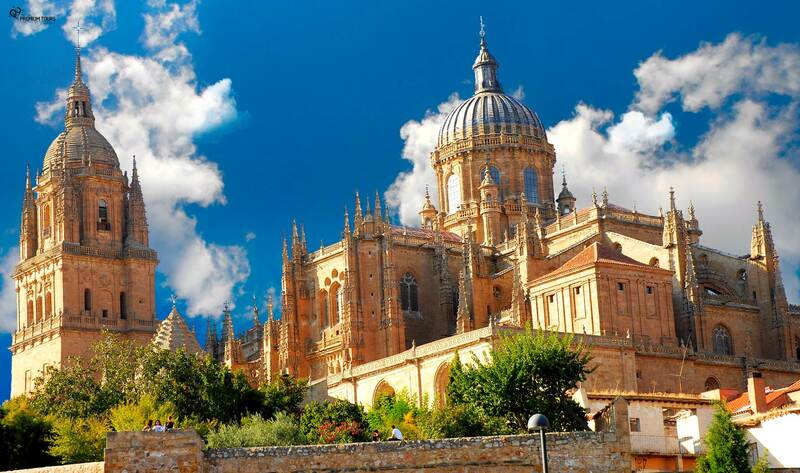 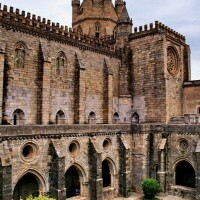 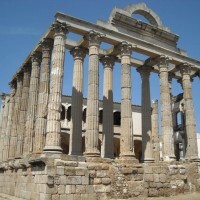 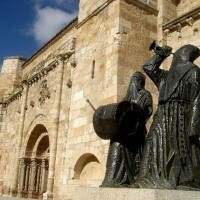 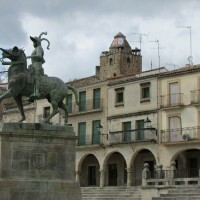 In Spain, you’ll visit: Mérida, Cáceres, Trujillo, Madrid, Toledo, Ávila, Salamanca and Zamora. 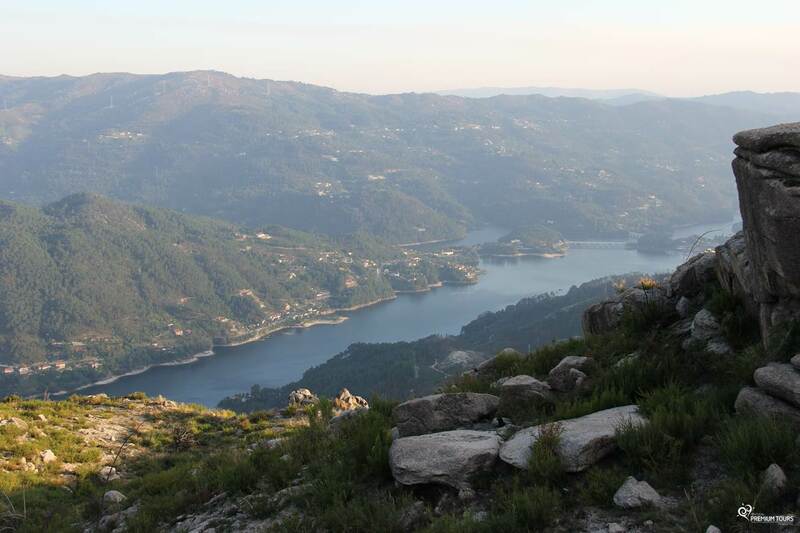 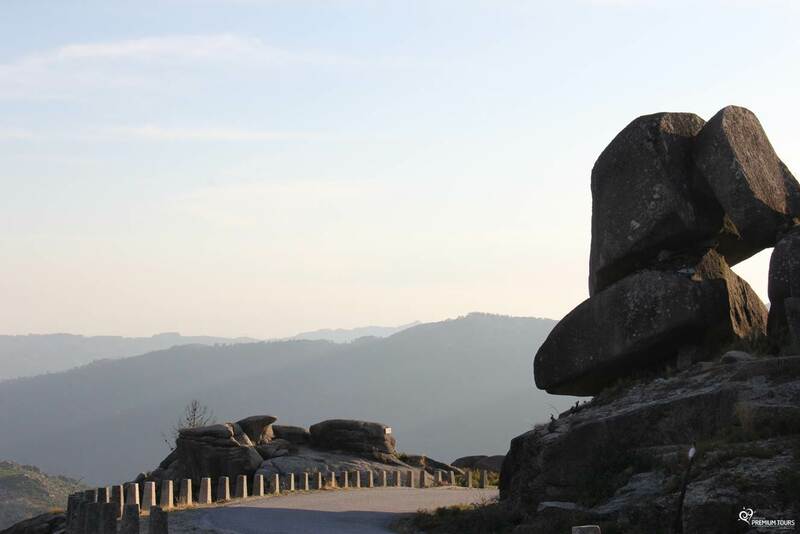 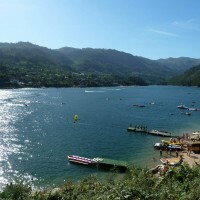 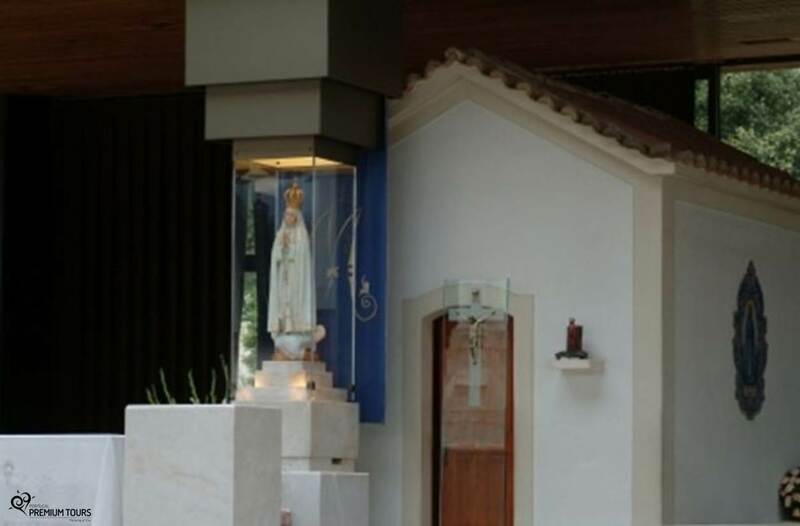 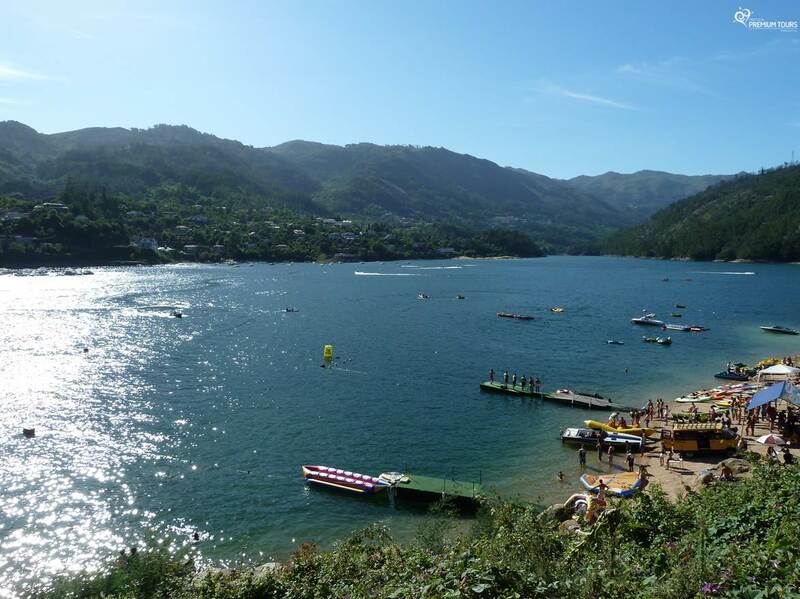 On our return to Portugal you’ll have the opportunity to visit: Gerês, Oporto, Douro valley and Fátima’s sanctuary. 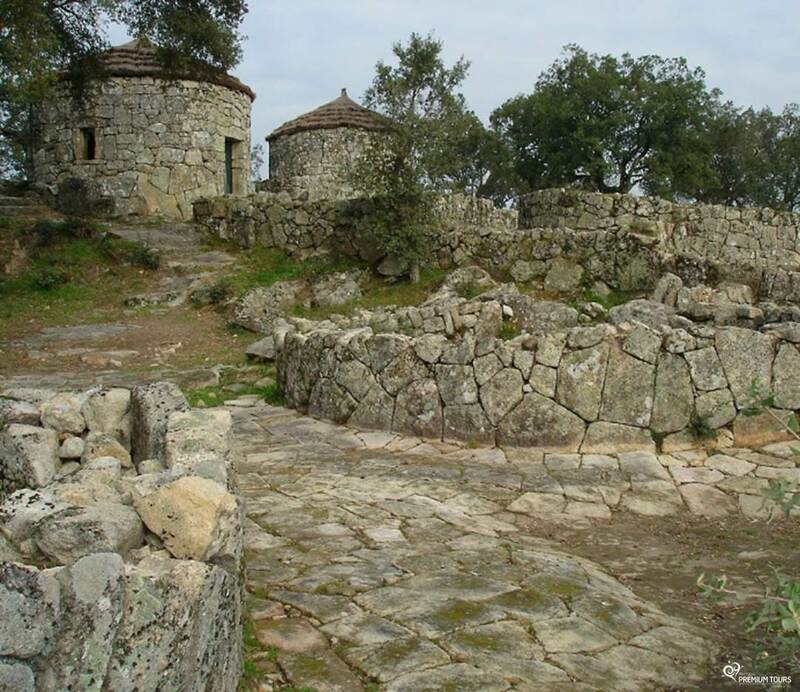 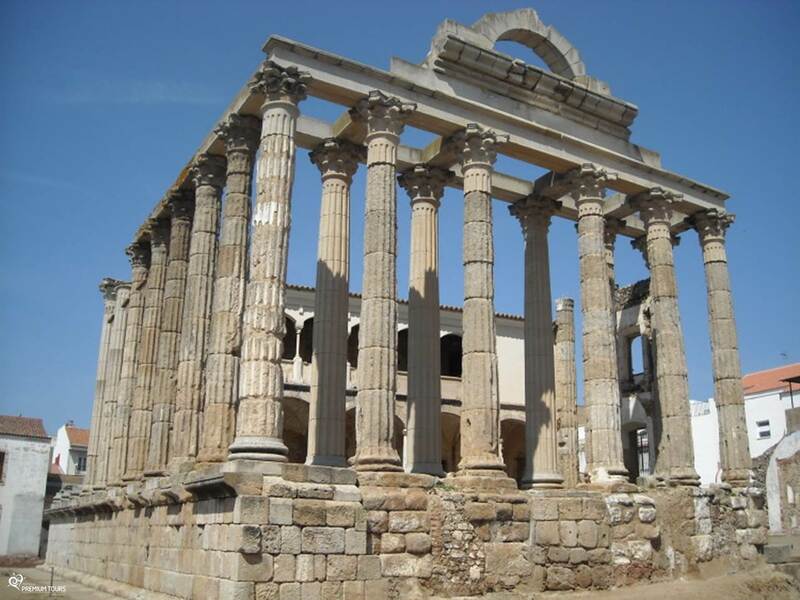 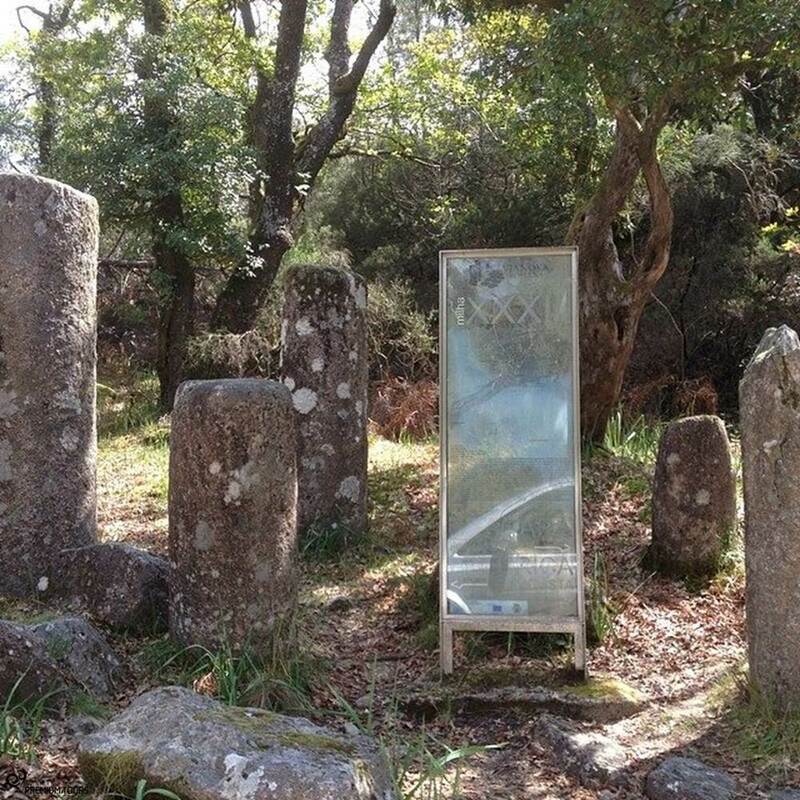 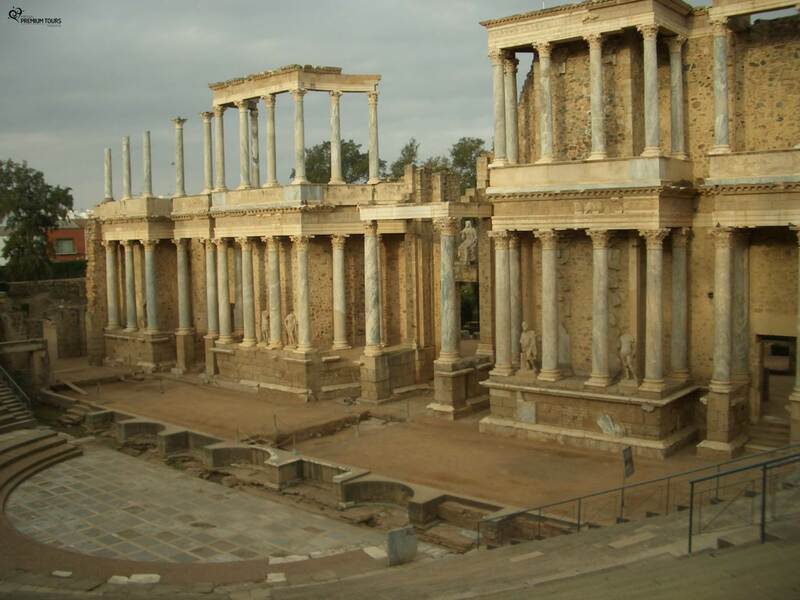 Founded in 25bC, one of the best preserved archaeological places in Spain. 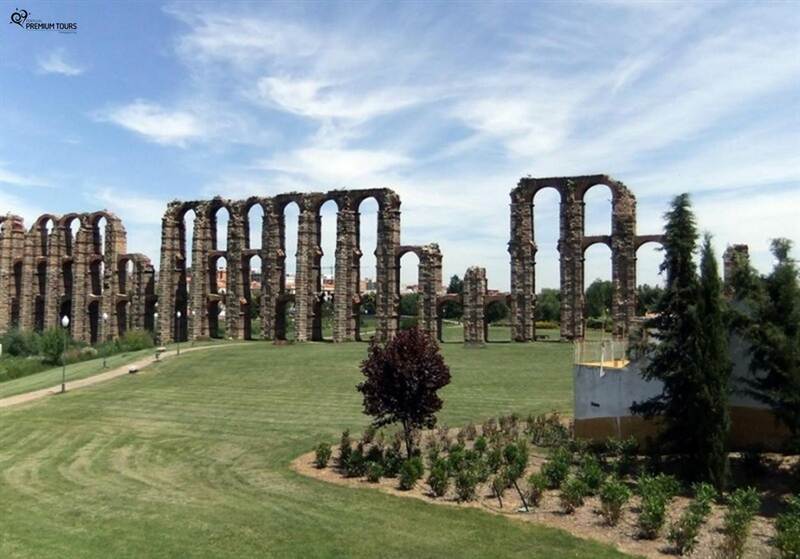 Mérida has several testimonies of the Roman occupation, like its theater and amphitheater dedicated to the Goddess Diana or the Roman bridge over the Guadiana River. 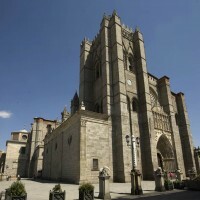 Where you will find an impressive City with imposing monuments such as palaces, towers and churches. 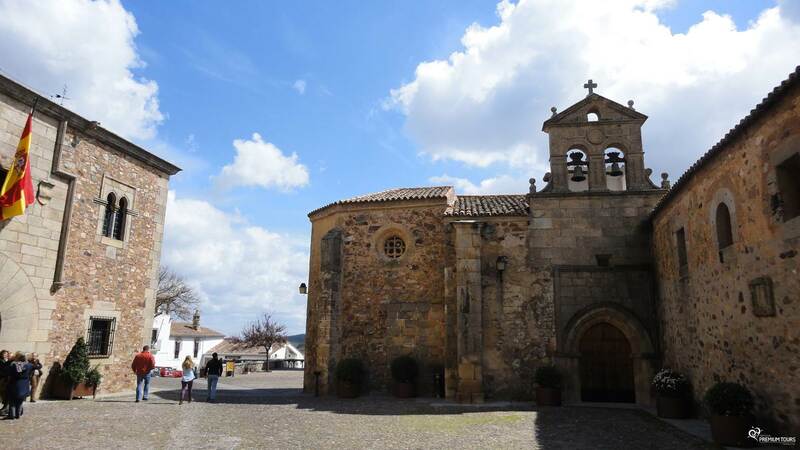 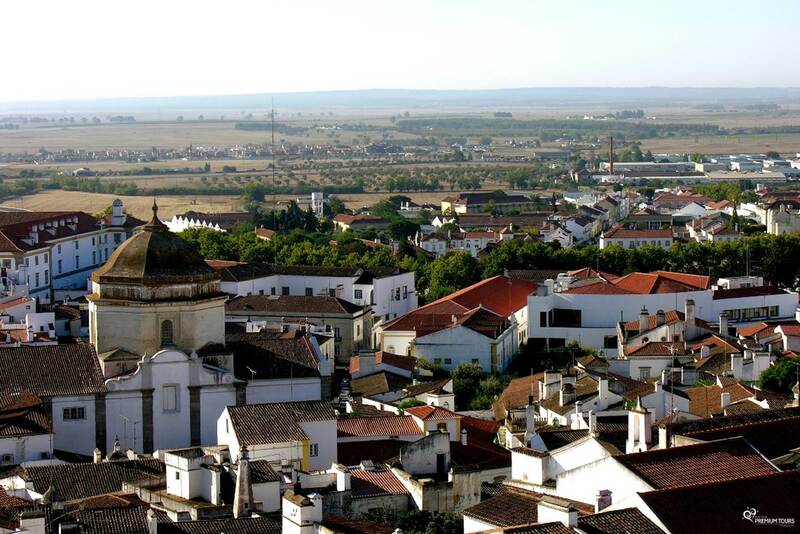 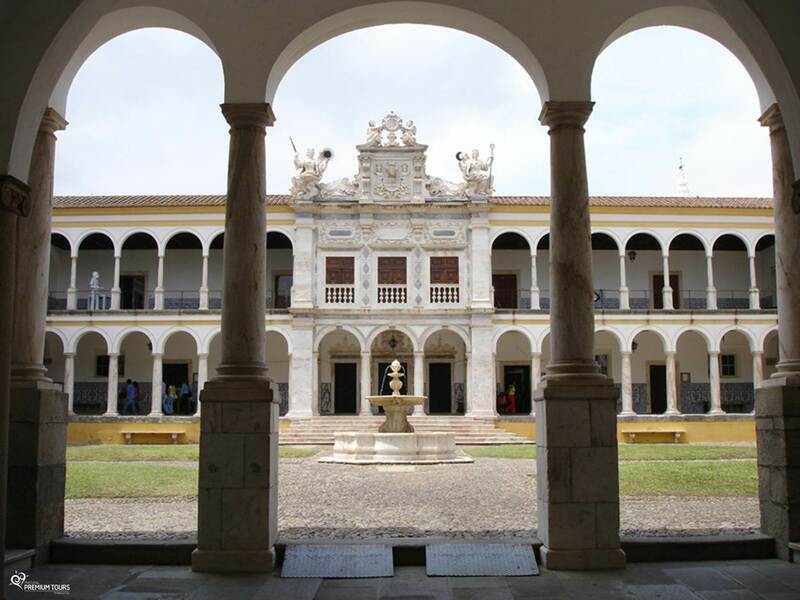 Located in the valleys of the River Tagus and Guadiana, Trujillo holds an important collection of churches, castles and stately homes that are built around its ‘Plaza Mayor’. 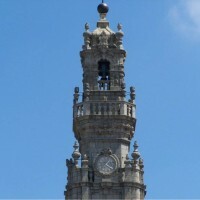 Panoramic tour around the City illuminated monuments. 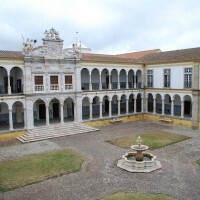 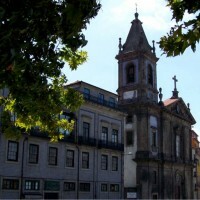 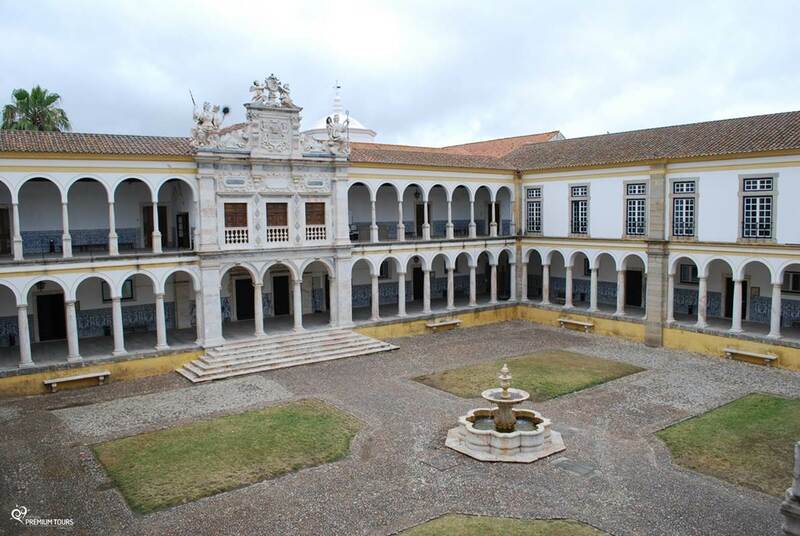 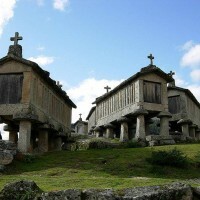 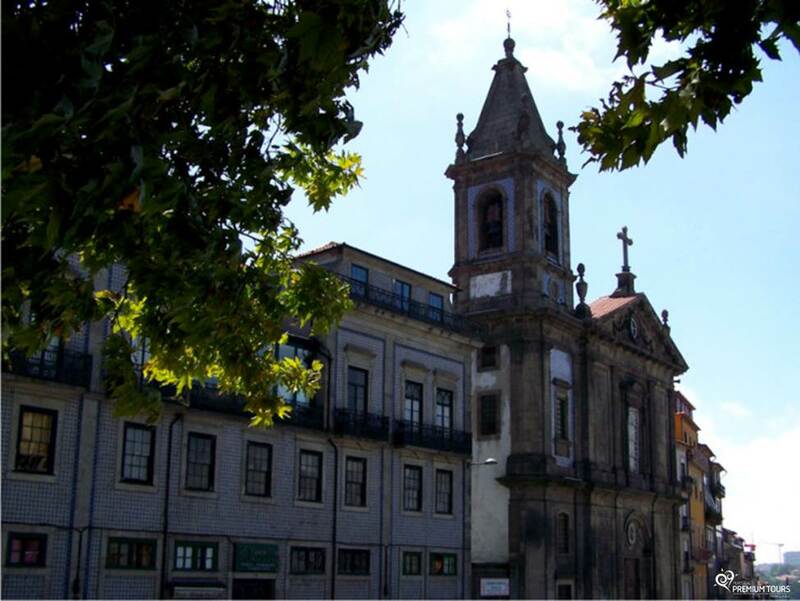 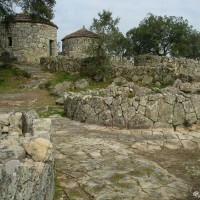 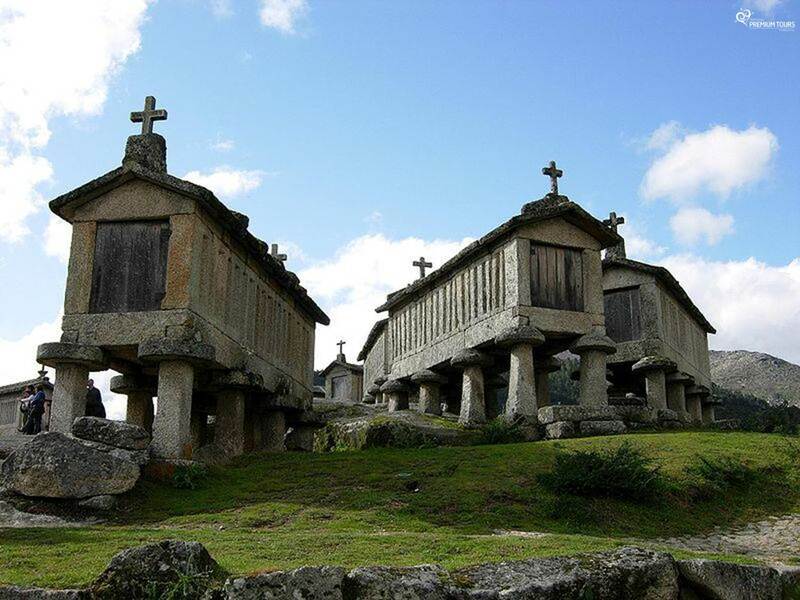 Built in the 16th Century, during the reign of the King Filipe the 2nd. 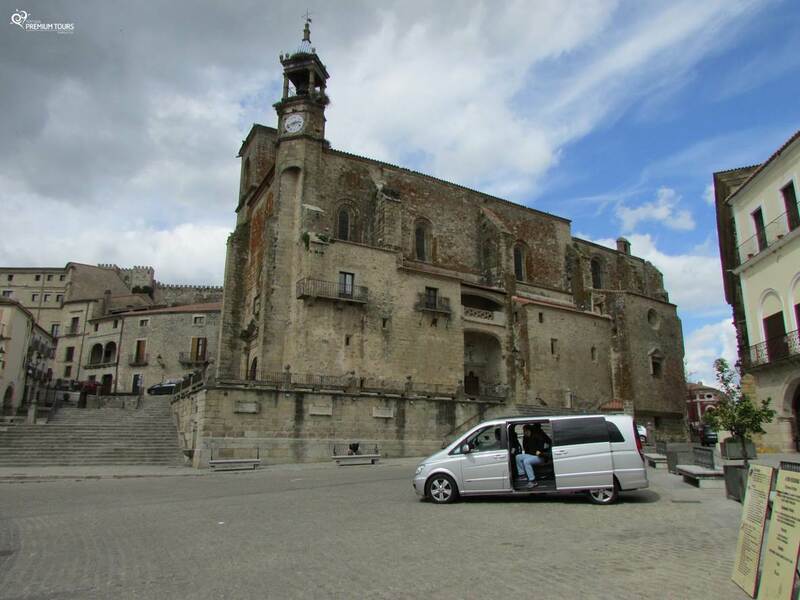 The Escorial is a large and imposing complex that includes a palace, a monastery, a museum and a library, located about 42km from Madrid. 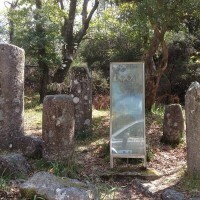 A memorial in honor of those who lost their lives in the Spain civil war, built between 1940 and 1958. 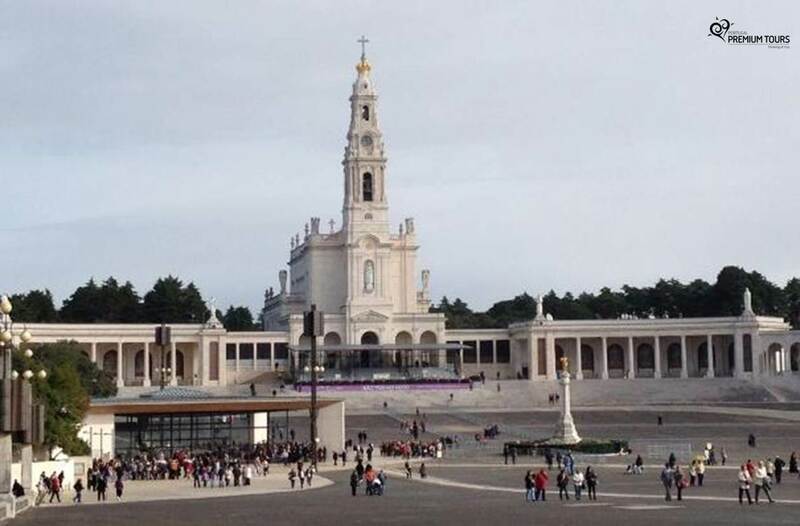 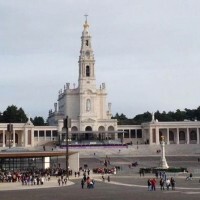 At this site you can dazzle the majestic Basilica and also enjoy the impressive 150 feet tall Cross (its arms measure 46 meters and the cross has two bases). 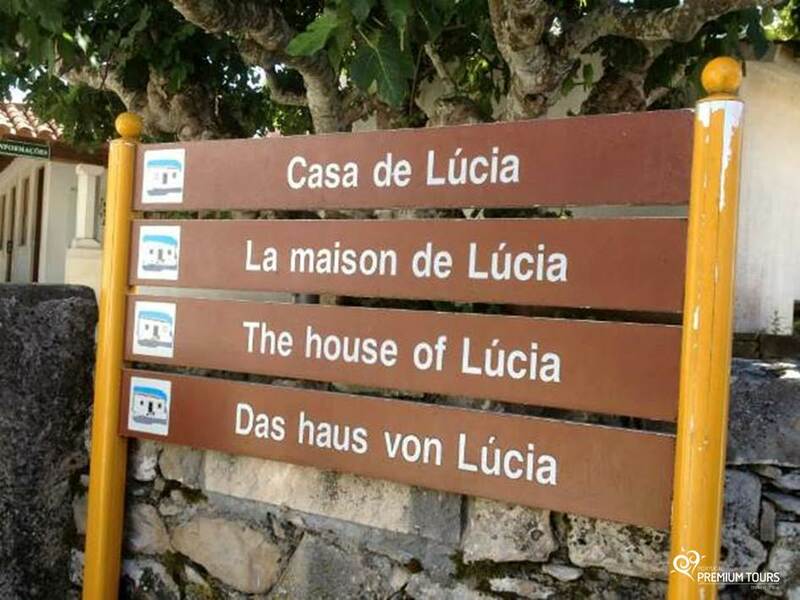 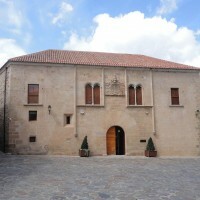 The official residence of the Spanish royalty and Sabatini gardens surrounding the palace. 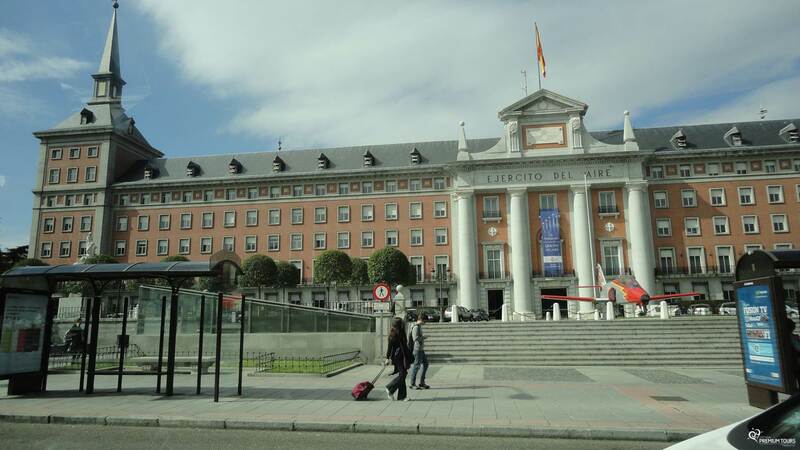 Currently the seat of the Ministry of Territorial Policy, has been the official residence for the Prime Ministers of Spain, since 1977. 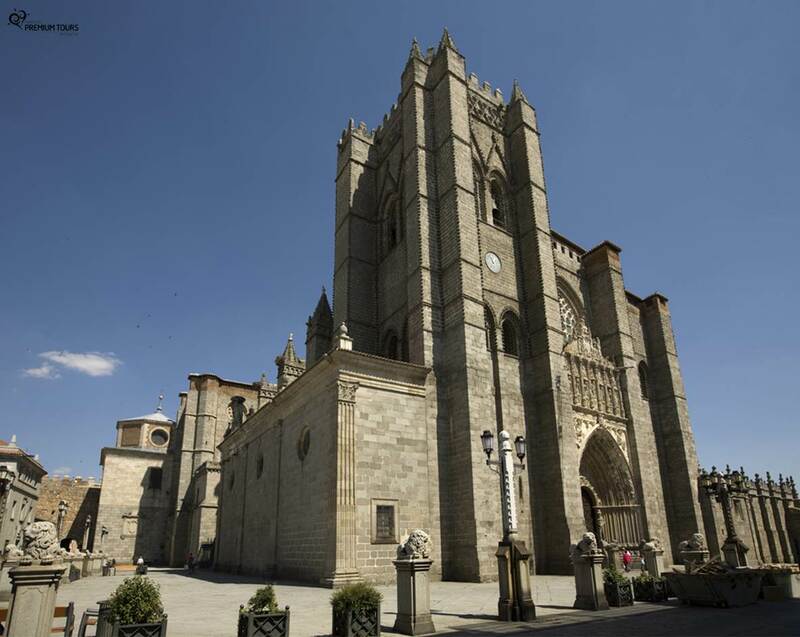 The Plaza Mayor, was built in the 17th century and is a central plaza in the city of Madrid. 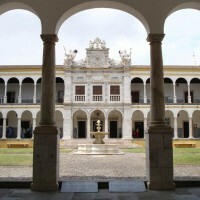 Designed in a rectangular shape, is surrounded by three-story residential buildings having 237 balconies facing the Plaza and has a total of nine entrance ways. 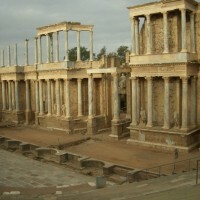 The former capital of Spain. 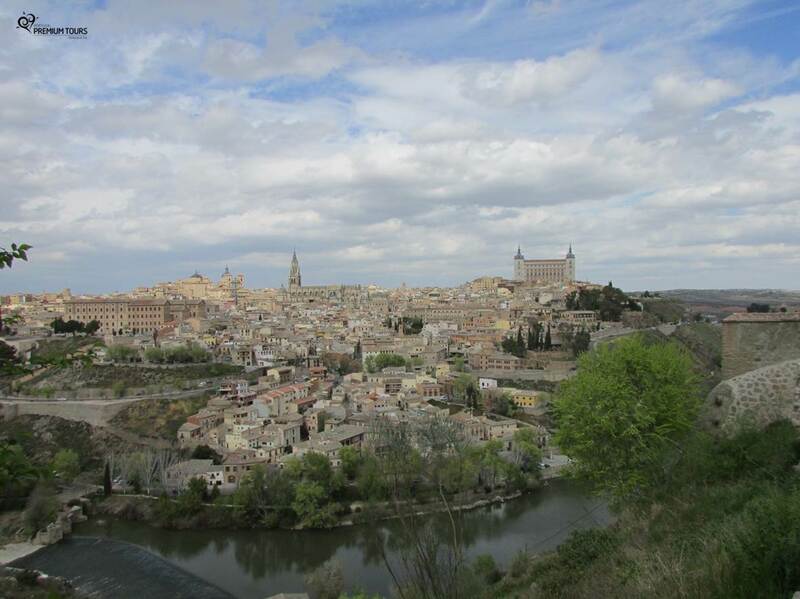 Of a Huge monumental richness, Toledo is known as the City of 3 cultures due to their Christian, Jewish and Arab influences. 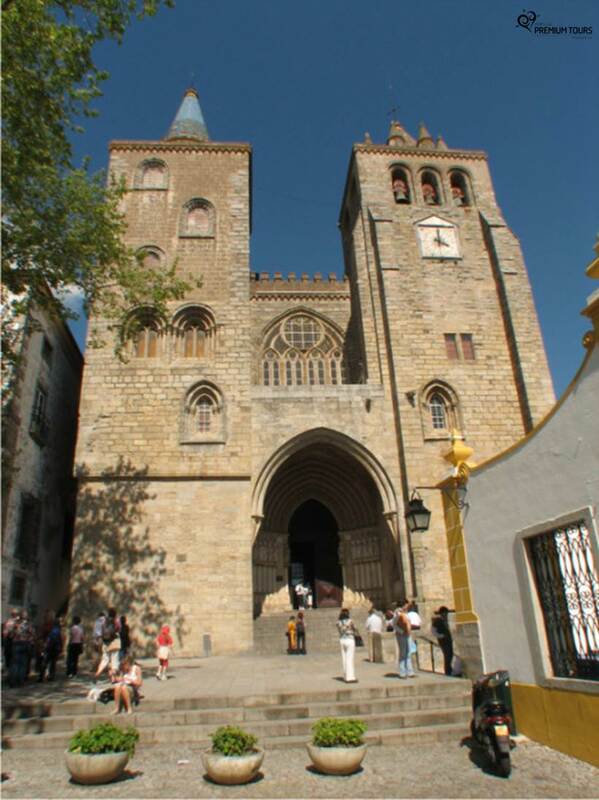 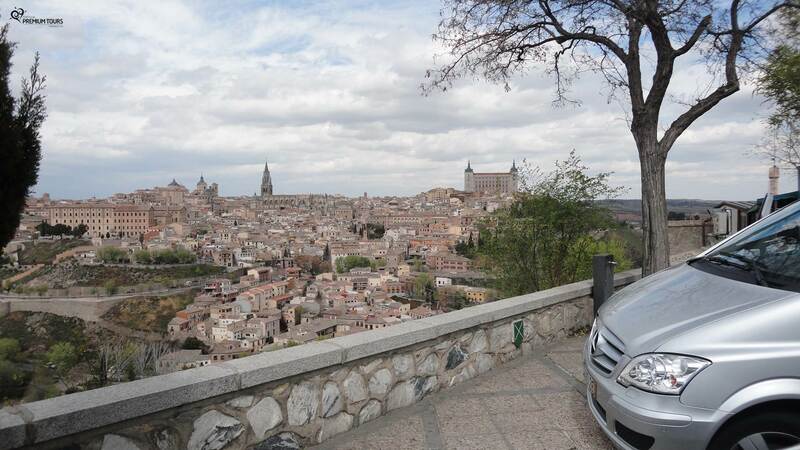 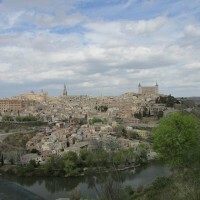 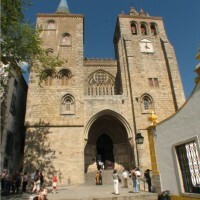 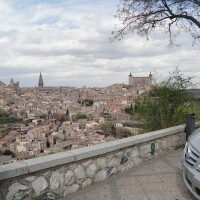 Toledo preserves an artistic and cultural heritage in the form of churches, palaces, fortresses, mosques and synagogues. 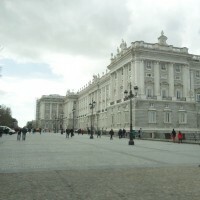 One of the main streets of Madrid. 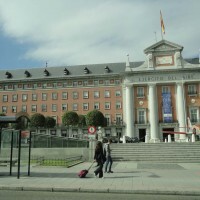 The Gran Vía, considered as the Broadway of Madrid, it’s an important commercial, tourist and leisure area. 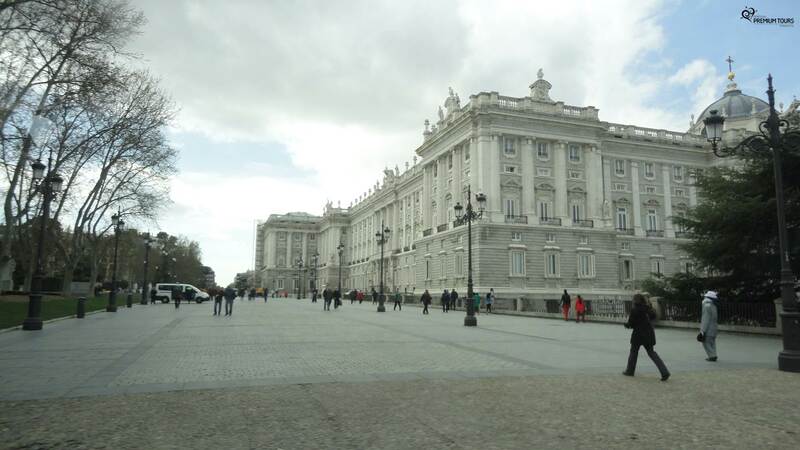 In Gran Vía there is a pedestrian area that you can enjoy to get to know Madrid and their squares. 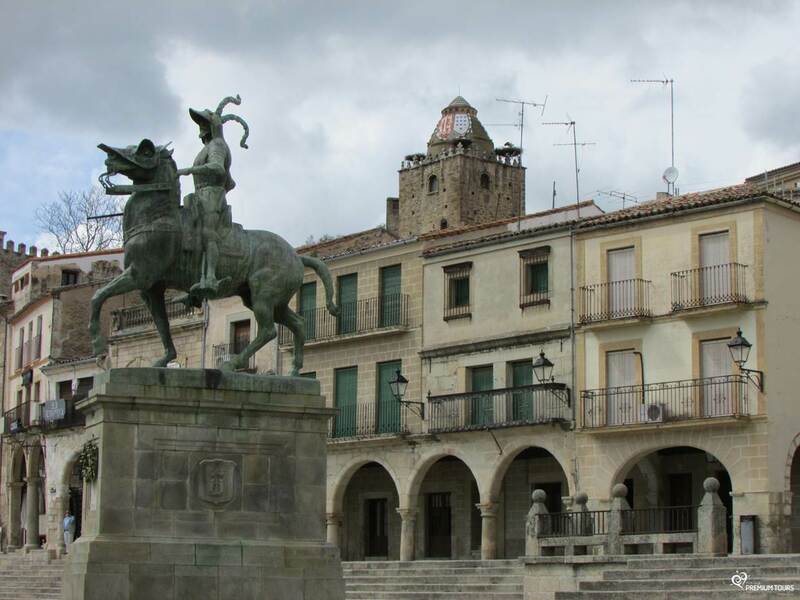 On this walking street you can get to know the ‘Plaza Mayor’ and the ‘Puertas del Sol’. 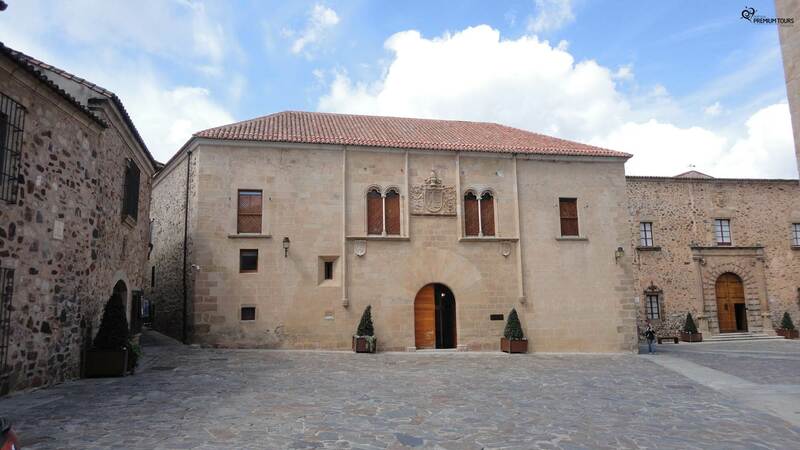 Which was transformed into a culinary space where you can taste delicious traditional Spanish dishes. 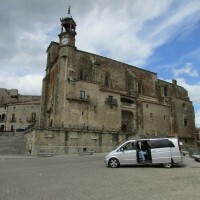 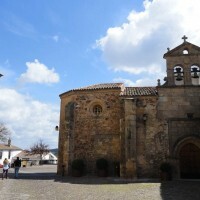 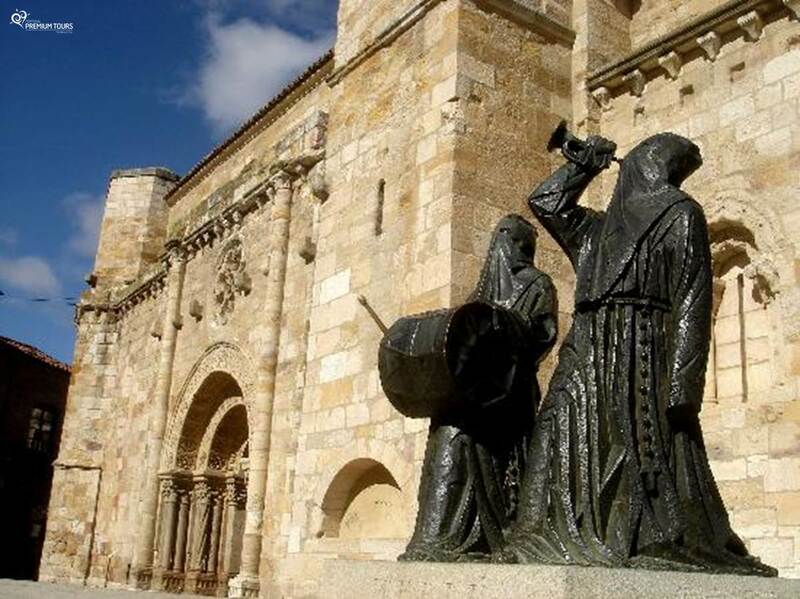 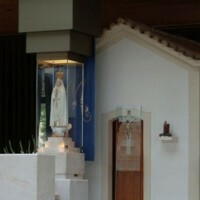 The birthplace of St. Teresa of Jesus, better known as Teresa of Ávila, who founded the Order of Discalced Carmelites. 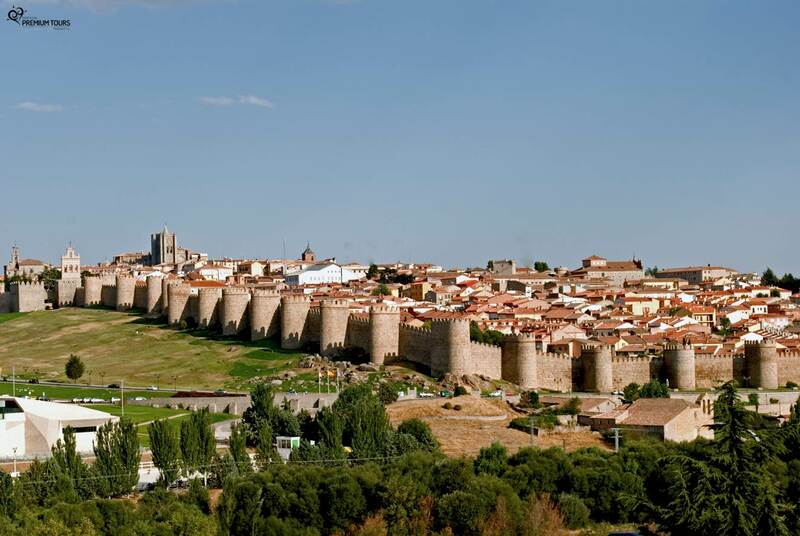 Ávila is surrounded by a 2.5 km long wall that has multiple ports and 88 round towers, arranged from 20 to 20 meters. 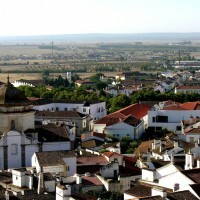 Town of the students. 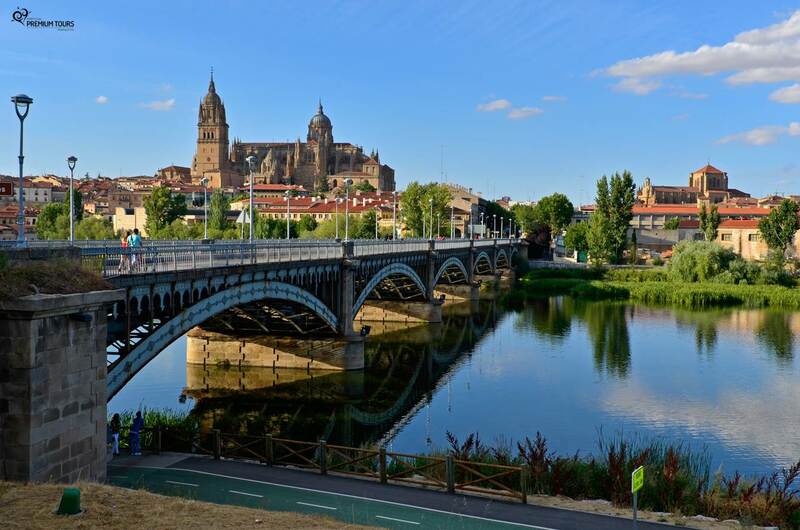 This is one of the richest Spanish cities in monuments of the Middle Ages, the Renaissance and the Baroque and Classical eras, and its historic centre is a World Heritage Site since 1988. 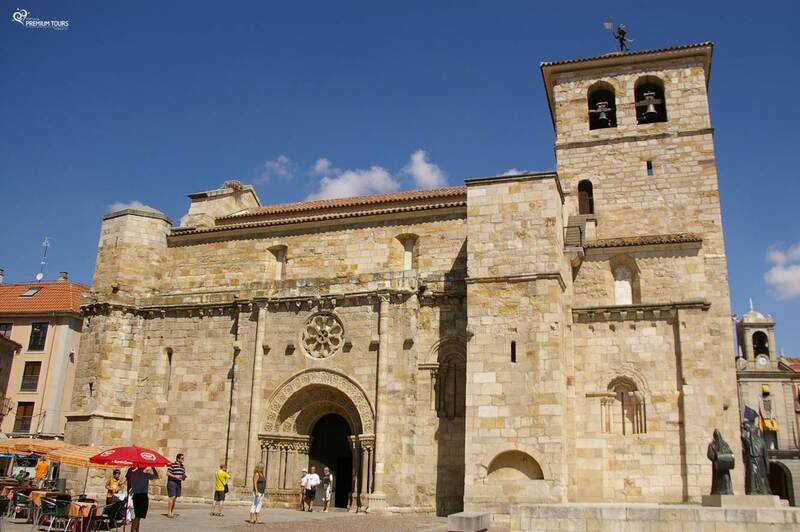 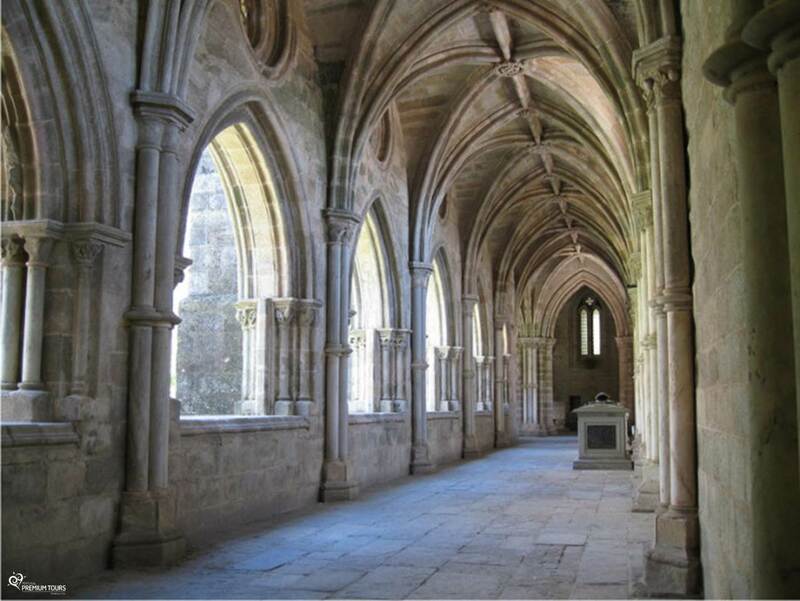 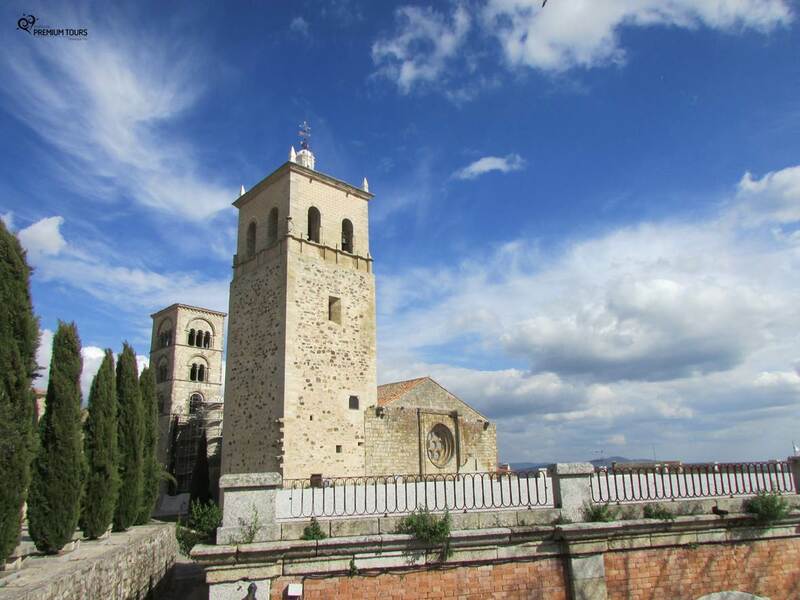 Has an important legacy of Romanesque and medieval art with impact on its immense palaces, temples and walls. 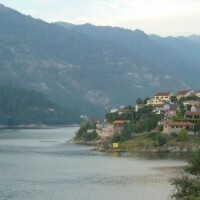 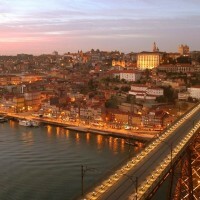 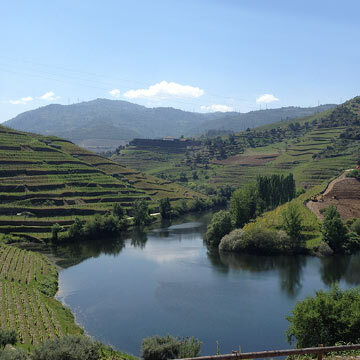 You’ll start the day with a panoramic tour along the Douro Valley. 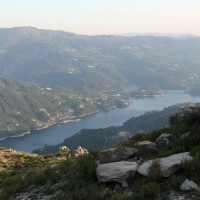 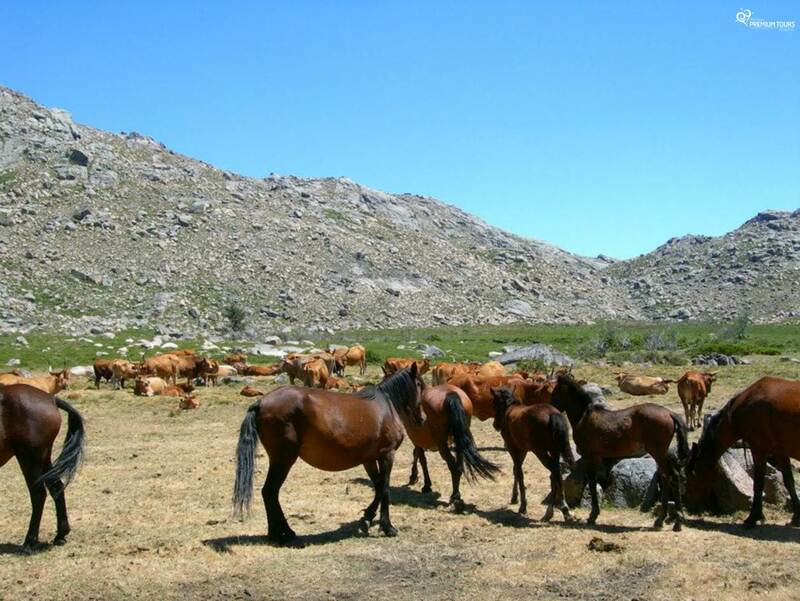 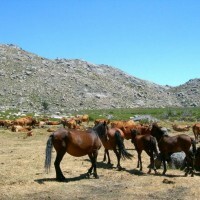 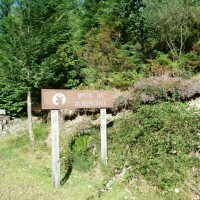 It’s the only Portuguese protected area that has been classified as a National Park and one of the most important natural attractions in Portugal. 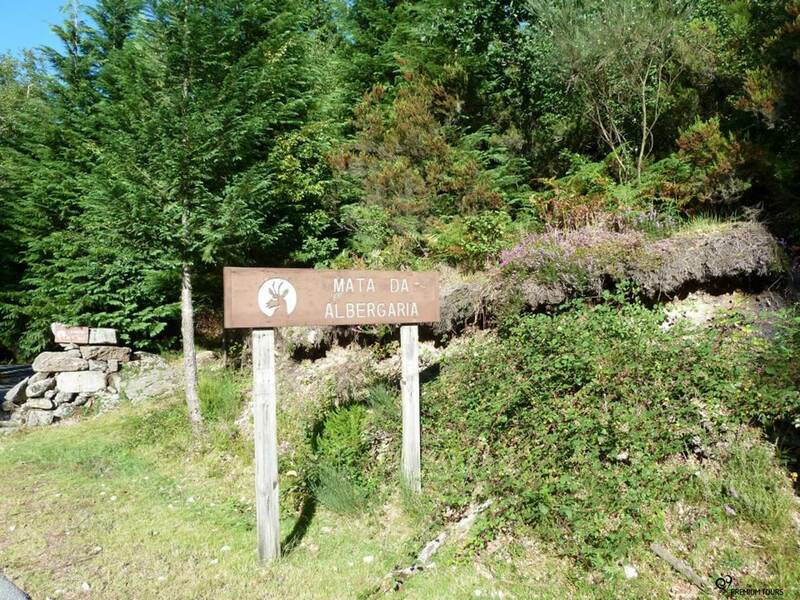 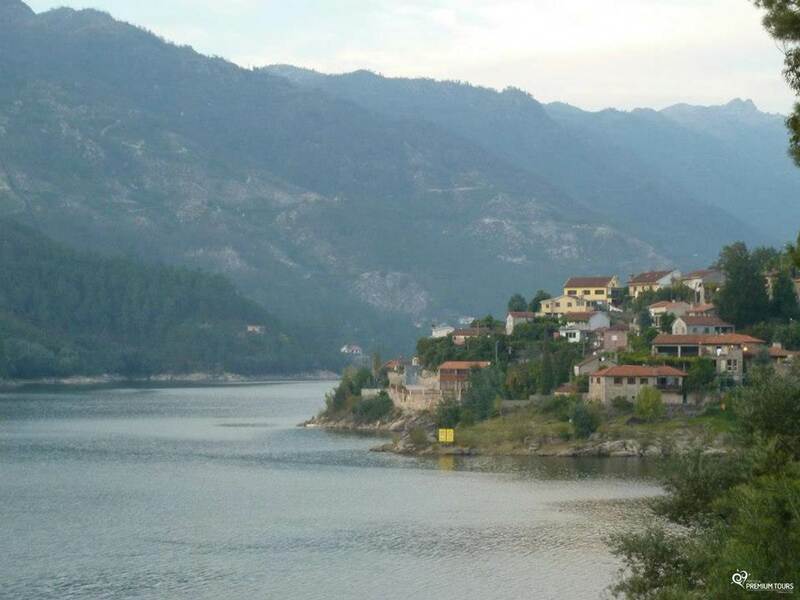 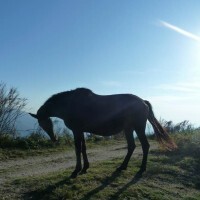 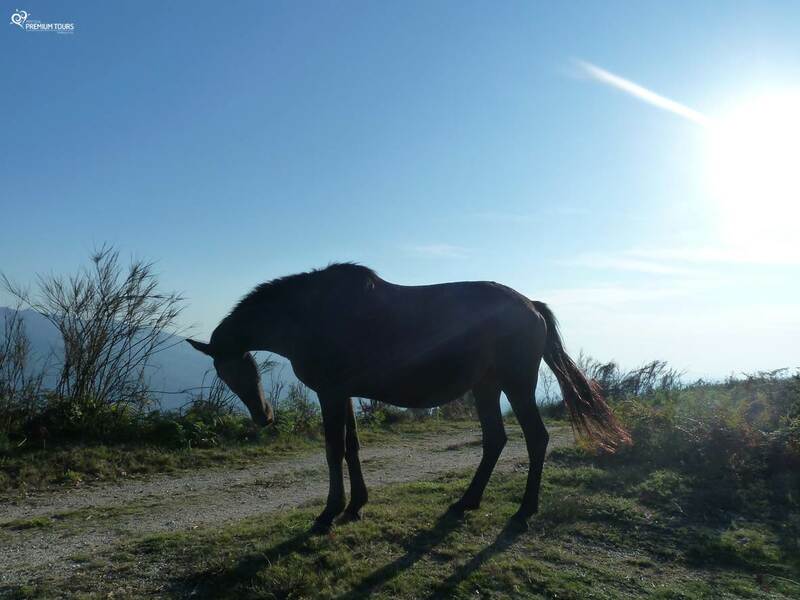 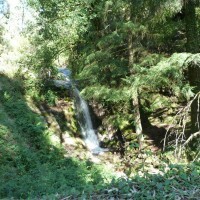 It’s known for its natural beauty, ecological & ethnographic value and home to a variety of fauna and flora including deer, ‘garrano’ horses, wolves, birds of prey, pines, yew trees, chestnut trees, oaks and a variety of medicinal plants. 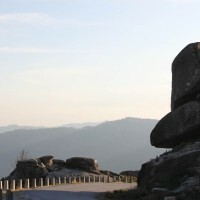 Remains of the Roman Road that linked Braga to Astorga. 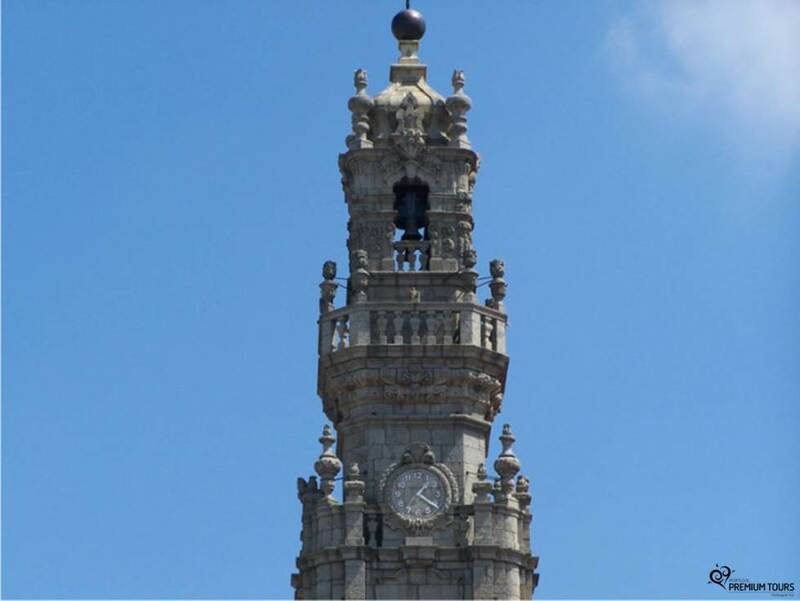 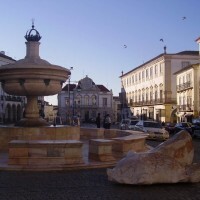 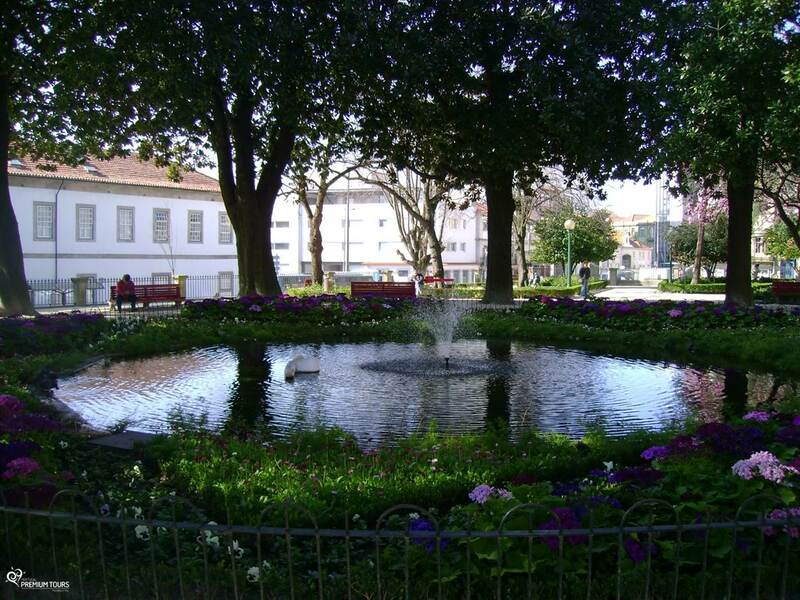 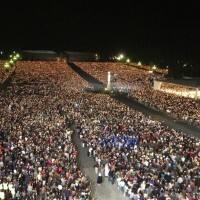 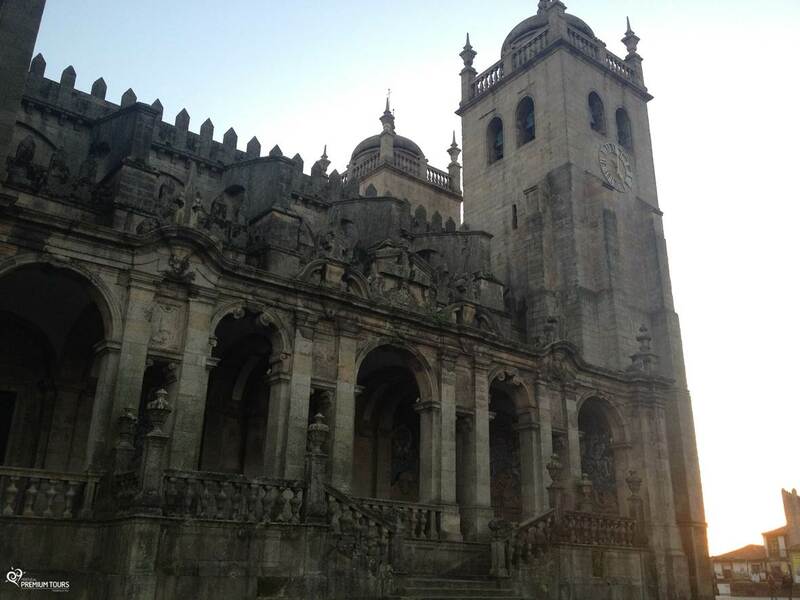 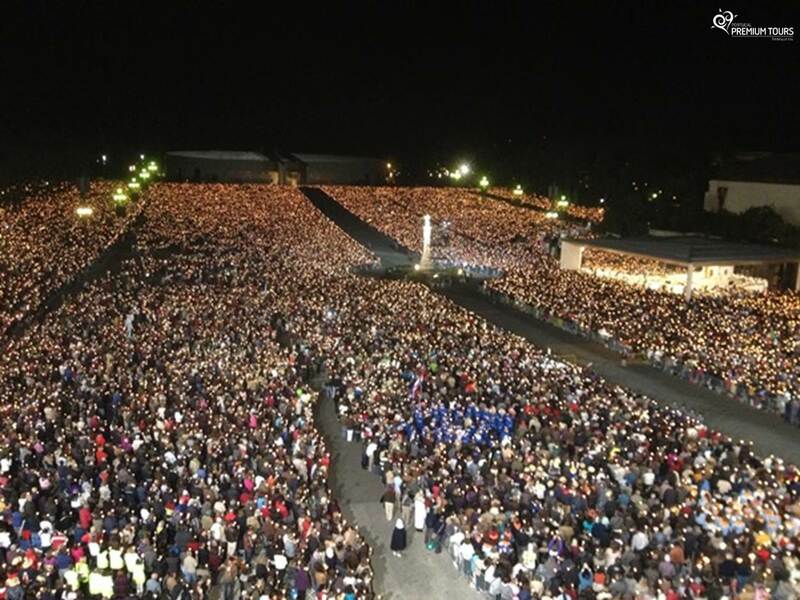 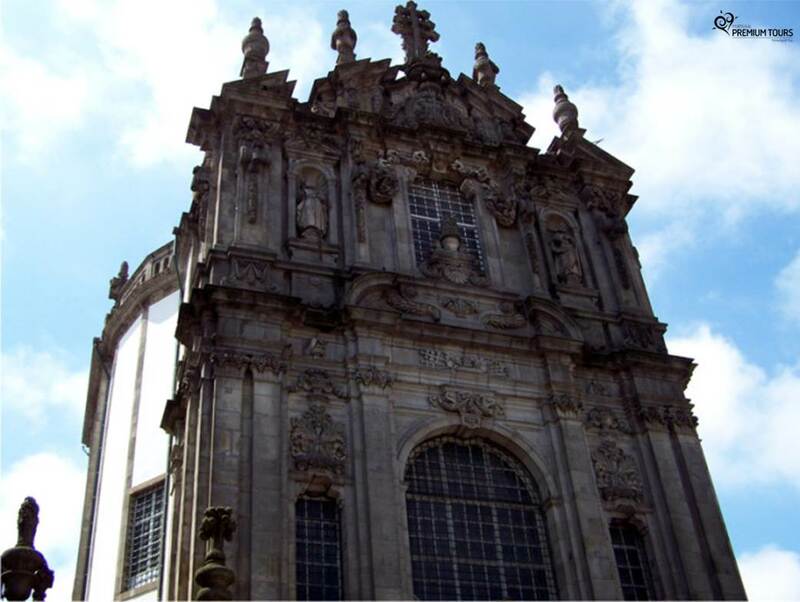 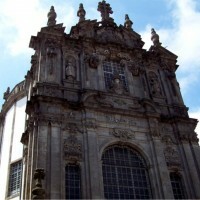 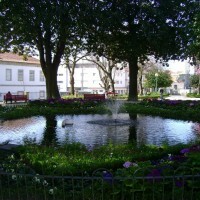 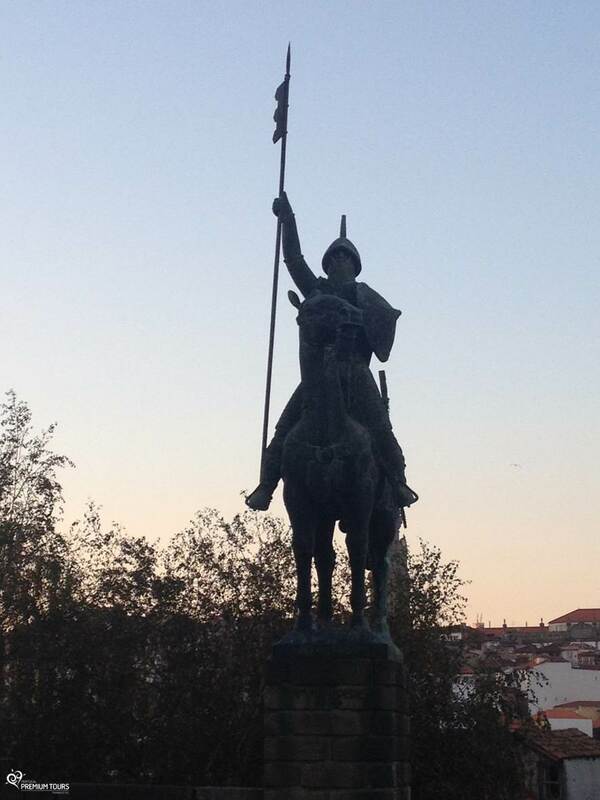 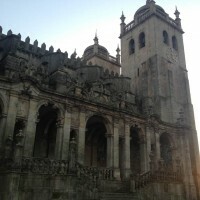 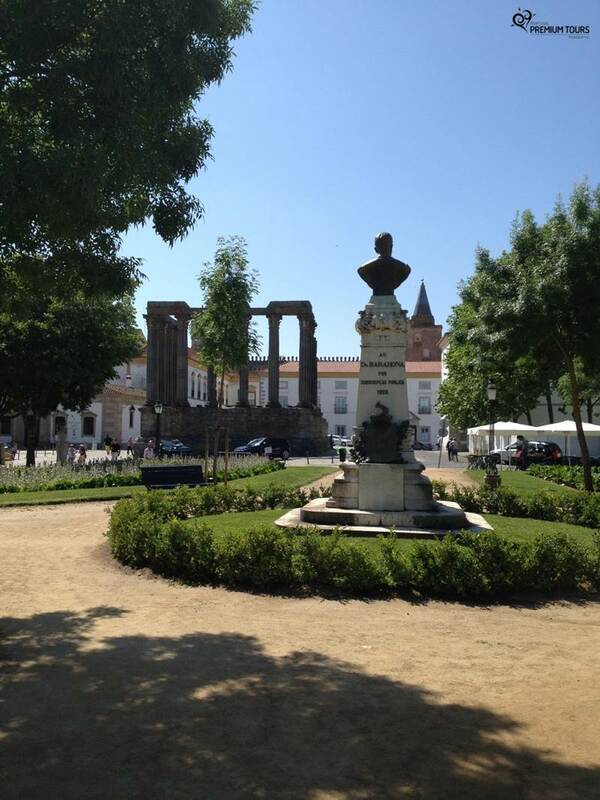 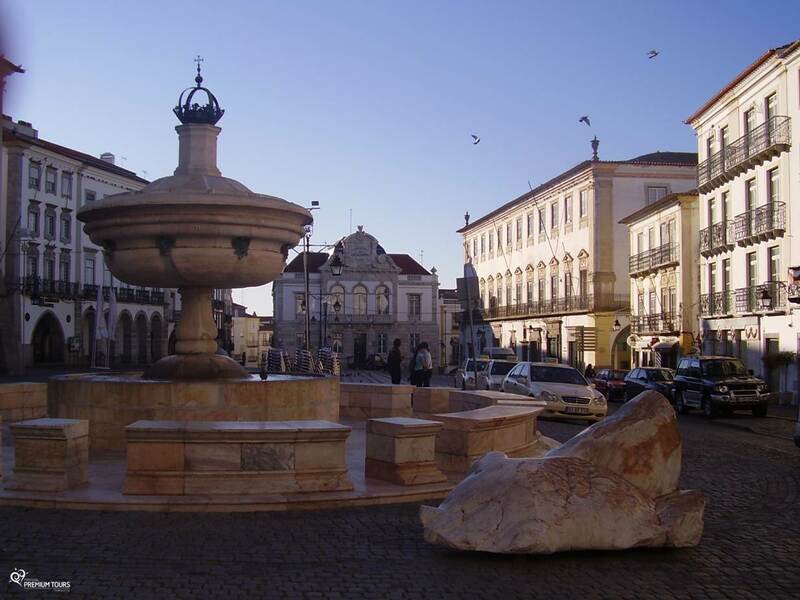 Visited by thousands of people every day, it’s one of the most important monument in Braga. 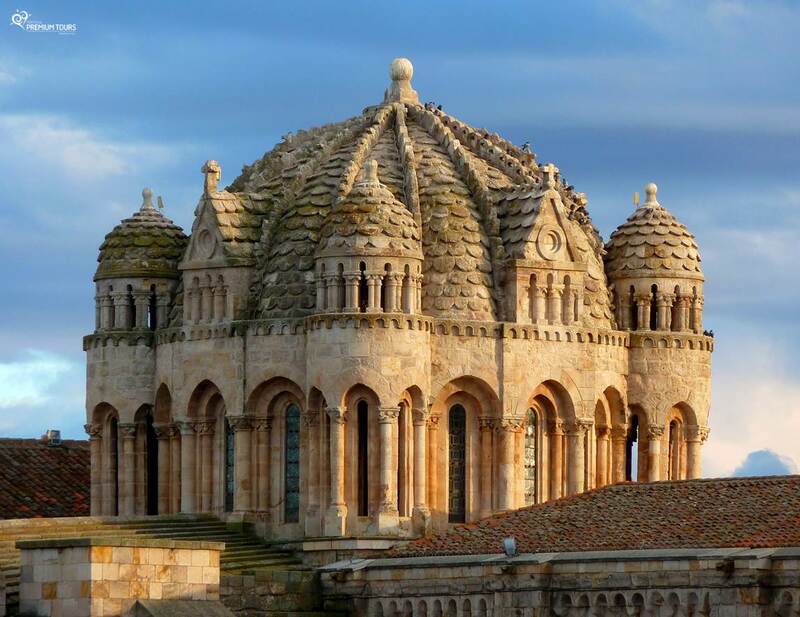 To visit the basilica you’ll have to take a lift that is considered to be the oldest one in Europe and one of its kind in the world, which is still water-powered. 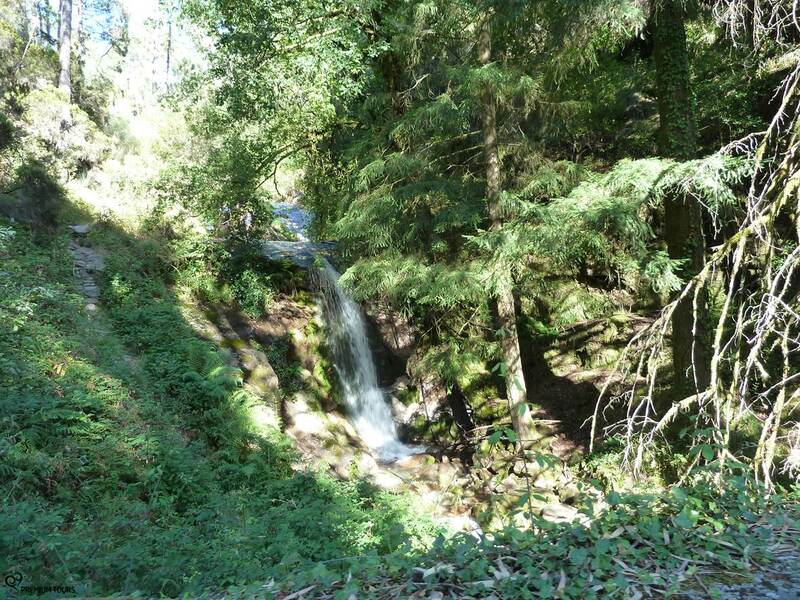 Situated in leafy woodland with truly spectacular viewing points.